Working with Victor & Bonnie was a complete pleasure every step of the way from our first meeting to taking possession of the keys. They are true professionals, who understand every aspect of the business and pay attention to ever detail. During the buying process we were living out of State which required extra help and nothing was ever too much trouble. Victor always went above & beyond to help! Our expectations were absolutely exceeded and we give the highest recommendation to this outstanding team! Bonnie and Victor Reddick were a tremendous help to us in buying our home, and we could not recommend them more highly. They worked with us to learn our needs and found several appropriate homes, and were in constant contact with us throughout the process. As we had only been living in the area for a few months, their local knowledge was invaluable in finding the right areas to look in, and constantly steered us in the right direction. Once we found the right place, they worked with us, the selling agent, and the lender, to iron out all issues and make it as smooth a process as possible. We were glad to have them working for us and were always confident that we were in experienced, professional, and trustworthy hands. We couldn't be happier with the work they did, would definitely use them again ourselves in the future, and recommend them to friends and family. Bonnie and Victor are the best agents we've had in our 8 house purchases over the years. Their team approach is great, bringing two different perspectives and expertise sets to our home buying. They quickly understood our needs and helped us grow our knowledge of the difficult Seattle market. Their advice was always practical and pertinent. They put a lot of time into our search; finding potential properties and previewing them so that we did not waste time on ones that looked good on line, but wouldn't fit our needs. We would definitely recommend Reddick and Reddick. The Reddick's helped us with the both a new home purchase and the sale of an existing home. They where very knowledgeable about both the buying and selling market place. They went out of their way to show us houses at our convenience. They showed real expertise in arranging the staging and sale of our large 5500 square foot home on Finn Hill. We are vary pleased with the sale and with the new home buyers which they were able to work with. It came out exactly as we had hoped for and we got our asking price. They know how to work with Loan and Title people and made very good recommendations as to who to work with. We highly recommend them to those looking to buy or sell. Reddick and Reddick is a team of true real estate experts. Both Victor and Bonnie go above and beyond in making sure they understand your wants and needs, then in turn make it a reality. They are truly your friend and advocate through the whole process and beyond. We just recently had help purchasing a home through them in Henderson, NV closing August 14th. We were very pleased with their services in finding and evaluating which home would be best for our family, hooking us up with a great local agent, as well as aided in negotiating a great price even in a new development, and truly have been by us every step of the way! Hands down this is a team that you need to hire. Impressive, professional, and will get the job done right the first time with perfection. This is a 5+ Star Team!!! Reddick and Reddick Real Estate Brokers and REALTORS® are a team with Bonnie being in Real Estate starting in 1975 and with Windermere Woodinville since 2001. She also has a B.S. in marketing and management from Colorado State University and has several Real Estate areas of expertise such as GRI, CRA and is a Master Certified Negotiation Expert, MCNE and more. Bonnie loves working with her clients, helping them obtain their Real Estate goals, whether selling, buying or both. Her years of experience you can count on. Victor has been an executive with Philips Healthcare, GE Healthcare and Johnson and Johnson over the last 30 years. As Senior Vice President of Global Marketing and Sales, Victor and his team became the first $1 Billion ultrasound company in that industry. 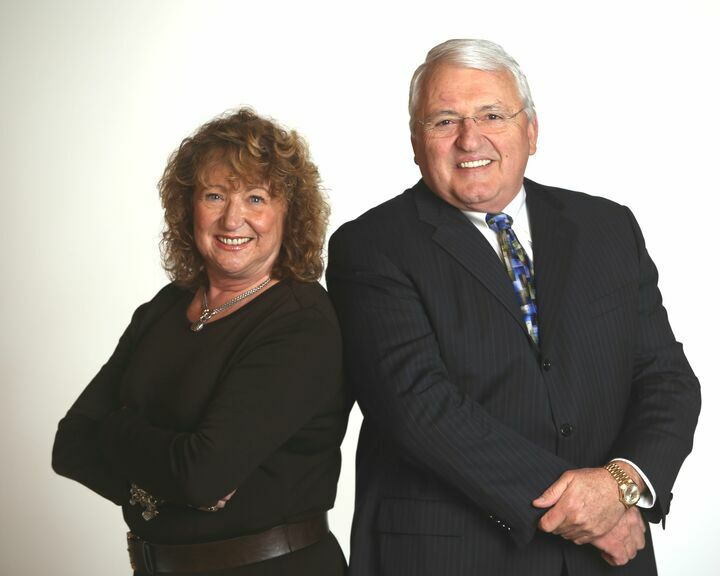 Victor joined Windermere Real Estate and partnered with Bonnie in in 2014. Together they are an experienced team with in-depth knowledge of Marketing and Sales. Victor studied Business Administration and Marketing at Metropolitan State University in Denver Colorado and also a graduate of the Stanford University Graduate School of Business', Executive Program in 1999. Victor is also a "Fellow" of the American Institute of Ultrasound in Medicine. (AIUM) and holds technical degrees in Radiology and Ultrasound imaging. Victor also holds a Master Certified Negotiation Expert credentials in Real Estate. "MCNE"
Whether you are buying or selling Real Estate, Reddick and Reddick REALTORS® can provide you high levels of experience and expertise to represent you in a contract negotiation. We are 5 star rated by Zillow, Trulia and Yelp and have a multitude of very happy clients. Check our many references on-line. Please call us should you need assistance with a Real Estate question or transaction. Reddick and Reddick REALTORS® (206) 972- 0299 or 0293.